My flight left on time at 6 am and by 7:20 we landed near Dalat. The transfer took about 40 minutes through fields and fields of yellow Gerbera and predominantly pine forests. 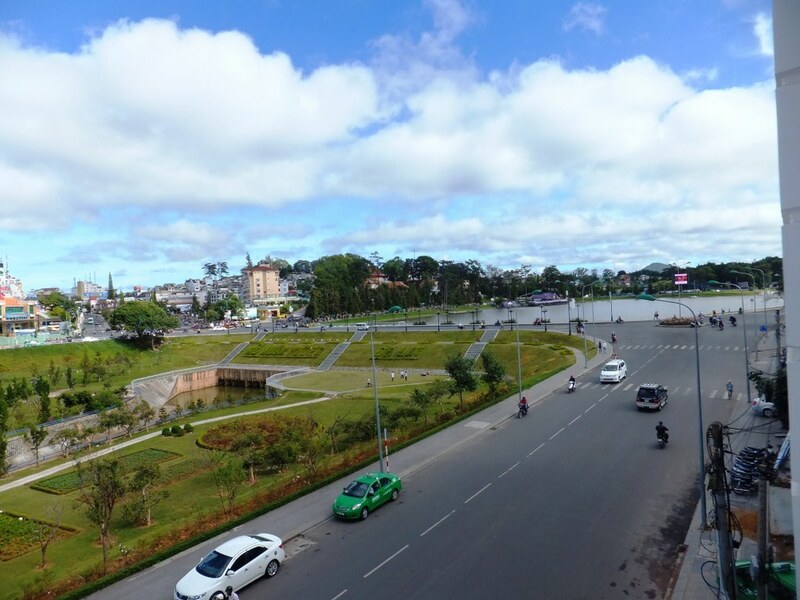 By 8am I was in my hotel, the “Dalat Plaza” in the centre (and they even had a room ready for me). So, by lunchtime I have already nearly 4 hours of sightseeing behind me! Good boy, sweating despite the cold weather! 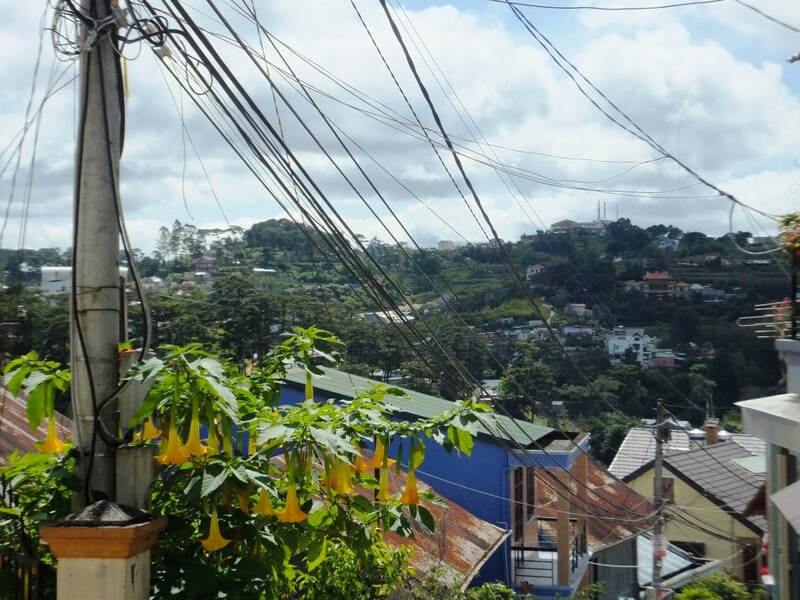 Here in the central highlands and Dalat especially the climate is like in Europe and they grow many things for which it is too hot in other parts of the countries. Like artichokes and strawberries. And tons and tons of flowers. 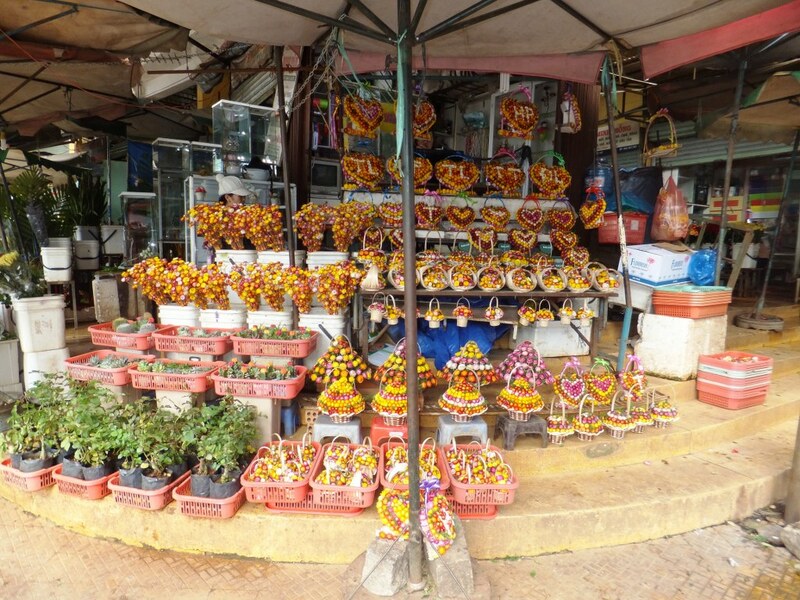 Recently I seem to have been to a different market nearly every day. And they all seem to have the same structure. 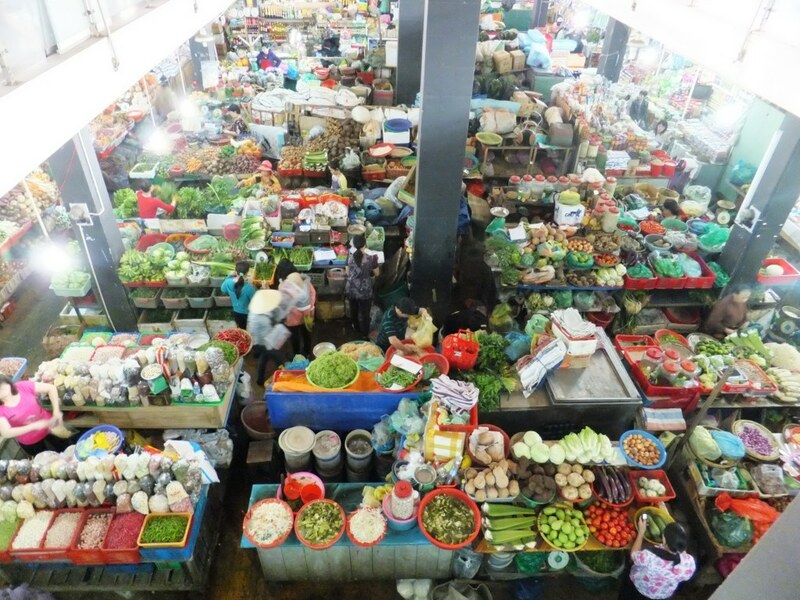 Fruit and vegetable are usually on one side along the outside of the market building. 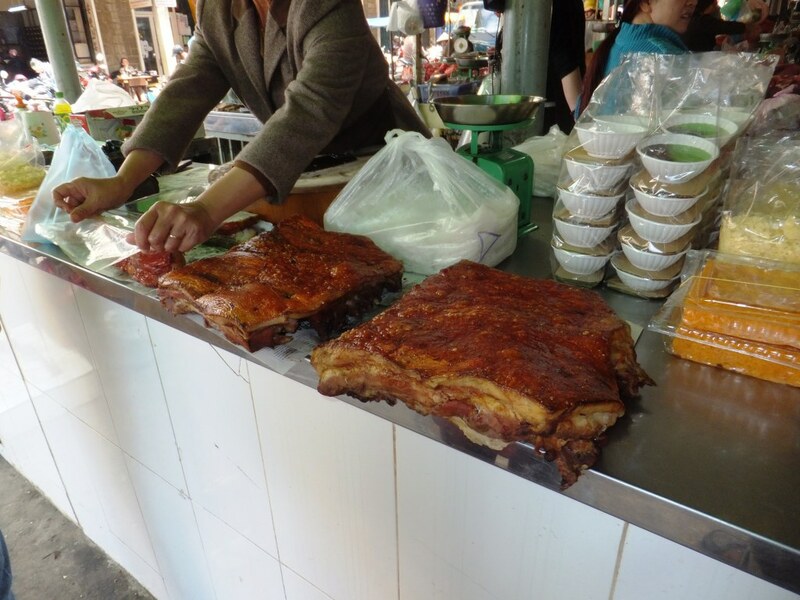 Rice and noodles occupy the other side – while meat and fish is to be found at the far end. This is quite practical to know when you are in a hurry – which I am not, of course. 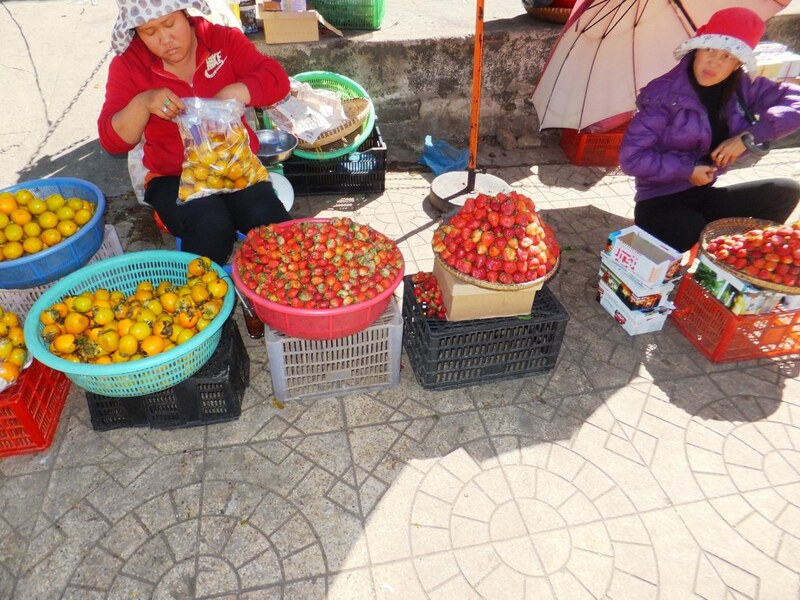 In the Dalat market you have a lot of shops selling green tea and coffee – both produced in the area – and I am wondering if I should buy some to take home. But then: for what? Back home my life is different and there I treasure other things. Even to take some as presents does not make sense as people would not appreciate them if they have not experienced the things themselves over here. In other words: I have not spent 5 stotinki on souvenirs or presents – and I am planning to keep it this way. 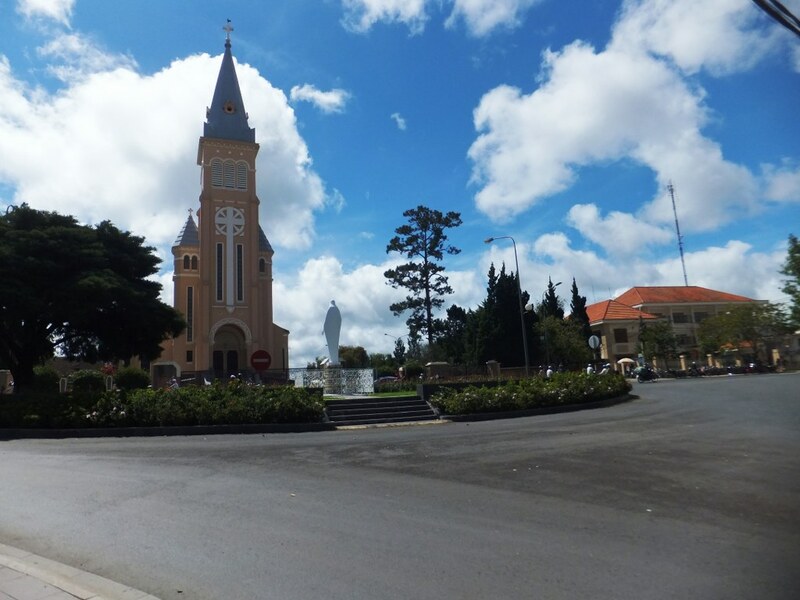 The French discovered Dalat in the late 19th century and turned it into a little French memory place where homesick and such people could feel like in Europe. 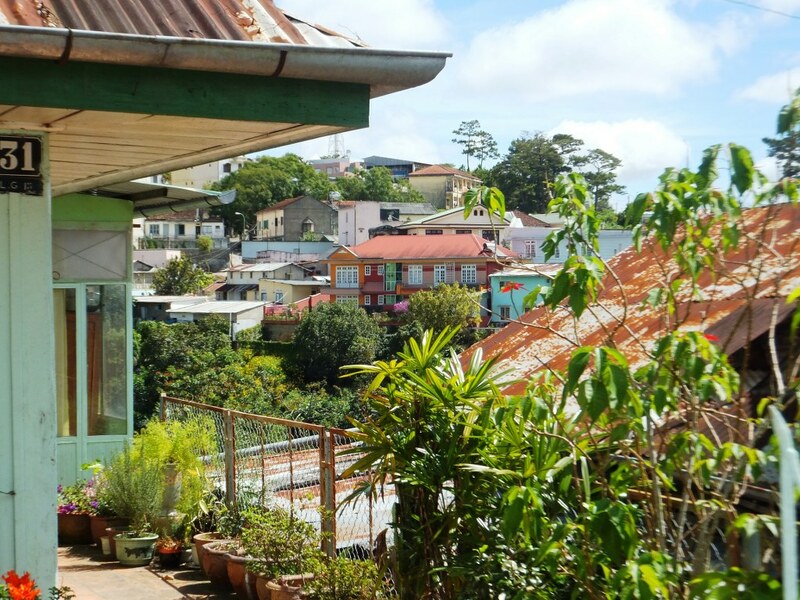 This has left Dalat with a special flair. It’s full with cafés, art galleries, botanical gardens and the like. 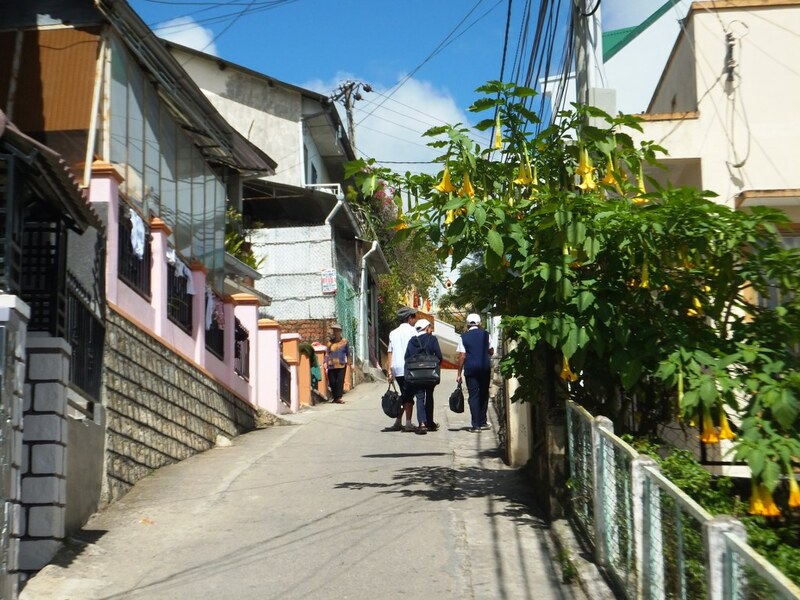 In the last couple of years Dalat has become immensely popular with the Vietnamese. 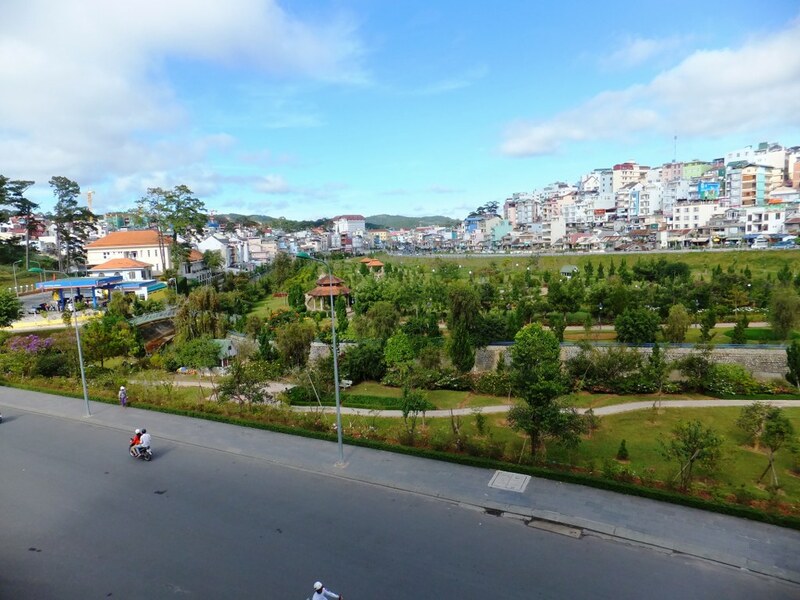 Everyone I talked to in Hanoi loves Dalat. And I can see why. It’s the “Europe” of Vietnam. Different climate and vegetation (e.g. only 20 degrees C in the sun today). Different “feel”. Rich people buy houses here. 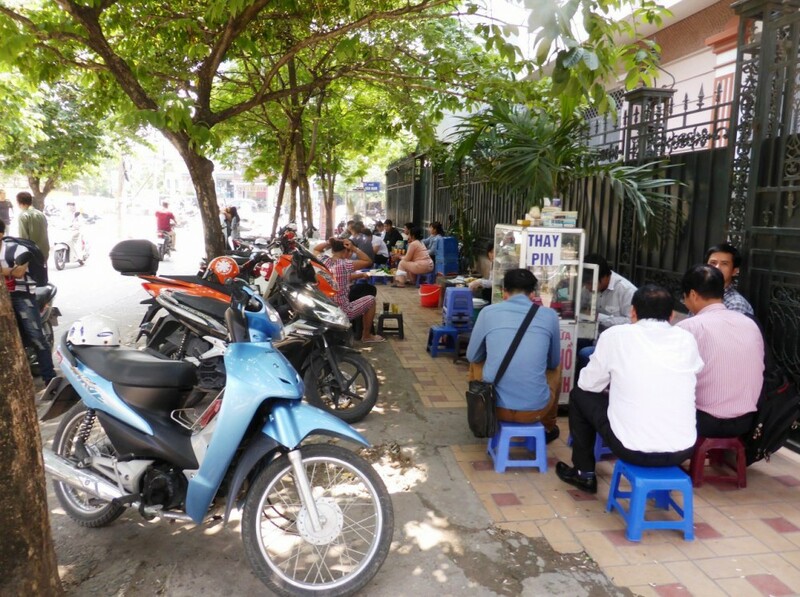 For the others loads of new typical Vietnamese hotels pop up. Which kind of ruins the atmosphere a little with less and less “French” architecture left. 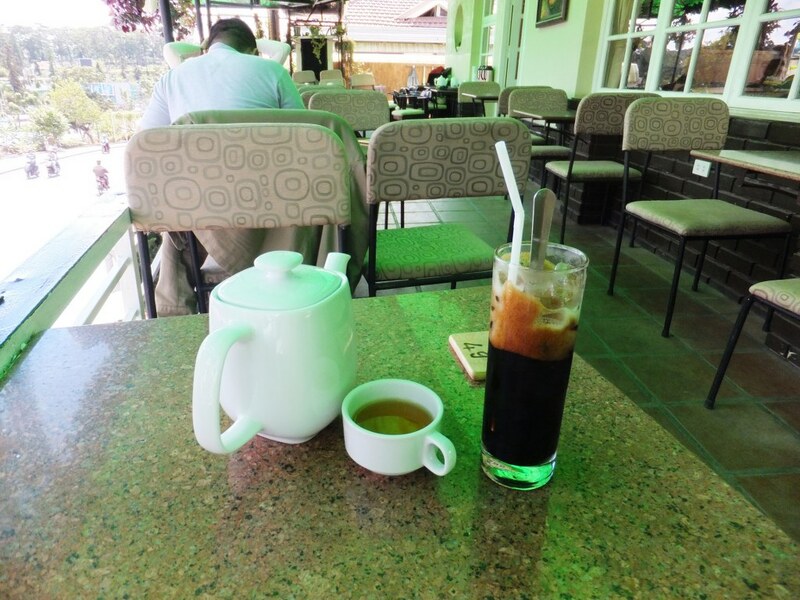 My reward for walking up and down the hills: ca phe den da (black ice coffee)! Yippeeh! 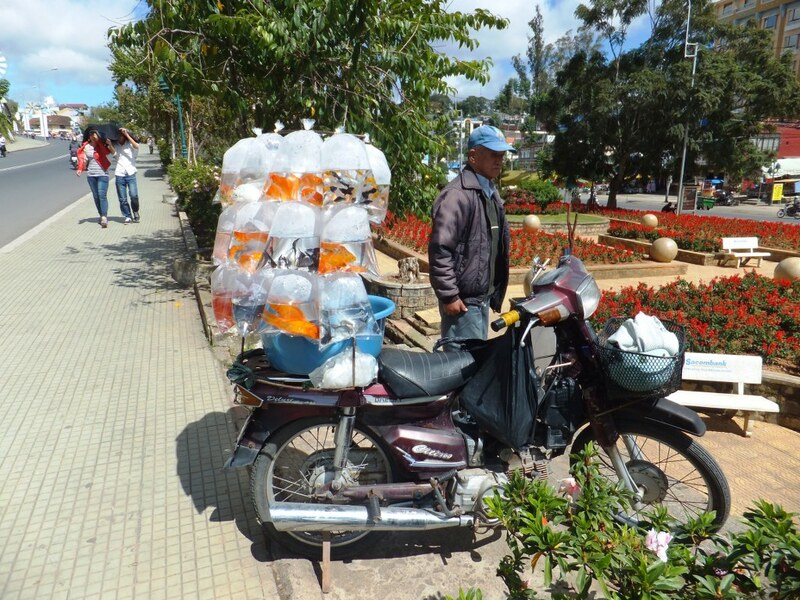 The idea of sightseeing with a motorbike is not bad, however, as Dalat is very spread out and many interesting things are outside. But I am not prepared to spend 40$-50$ for a guide. So, my goal is to rent a motorbike for the day tomorrow (that should be about 8$) and go riding around on my own. I already have a local map and in addition have read about all the major sites and their backgrounds in my guide book. Dieser Eintrag wurde veröffentlicht in Vietnam von Frank. Permanenter Link des Eintrags. Hi Frank, we are two Aussie ladies who have been reading your blog today and found it both entertaining and interesting. You are doing our trip in reverse and we are now at the Phuoc An Hotel in Hoi An, resting after riding our pushbikes out to the beach. We stopped outside your hotel to take a photo of the river and the restaurant. It’s very pretty there. 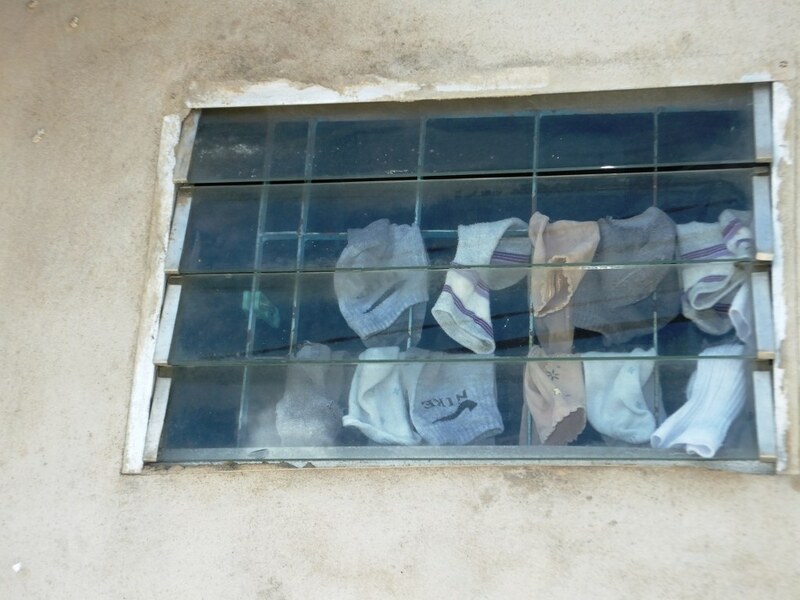 We were trying to find out who owns all the unfinished resorts when we came upon your blog. Good luck with giving up the cigarettes. It will hopefully give you want you want. 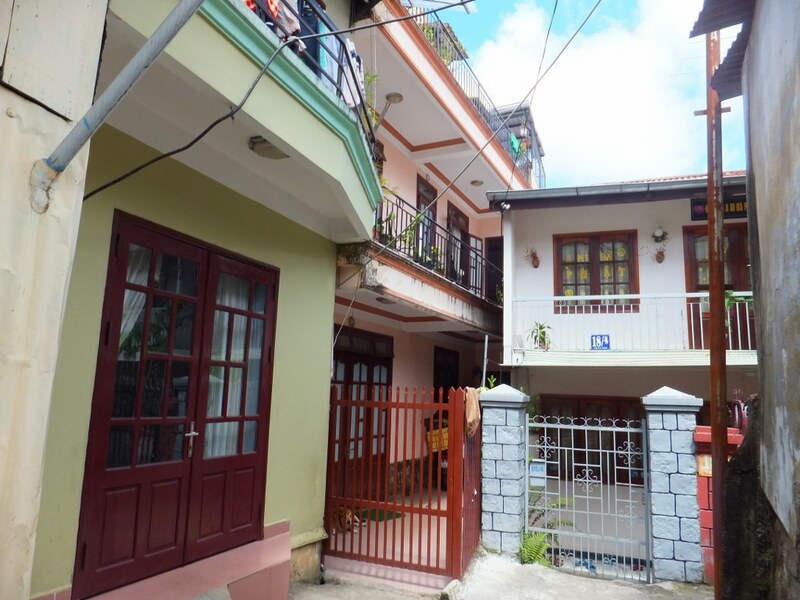 We have just come from Dalang, Nha Trang, Dalat, Saigon and the Mekong delta. It is a wonderful country and like you we try to experience the road less travelled. Our blog is http://www.the cruisesisters.wordpress.com. The weather in Hoi An is sunny today, and we are off again to the old town to take some photos with blue sky rather than grey skies. It makes such a difference. We off to Hue in a couple of days and then Hanoi etc. and then to Laos and Cambodia.